Donald Macleod focuses on Debussy's late burst of creativity in 1915, when he composed a number of works including his Sonata for flute, violin and harp. 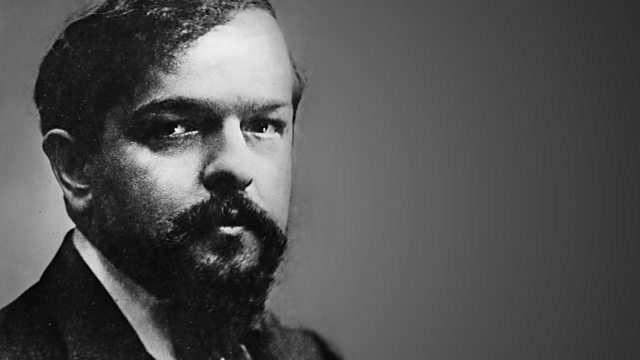 He had a profound impact upon music and musicians in his day, and created new genres for the piano and orchestra, this week Donald Macleod explores Claude Debussy through his chamber music. Debussy had undergone an operation for cancer, which left him very weak and in pain for the rest of his now shortened life. These were the early years of World War One, and Debussy was greatly saddened by reports of the scale of the carnage on the front line. His song, Noël des enfants qui n'ont plus de maison from 1915, doesn't hold back about the hopelessness of the time. Debussy had had a burst of creativity in in 1915, where he composed, amongst other things, his Sonata for flute, viola and harp. During these final years of his life, he envisaged writing six sonatas, including some for wind instruments. His plans were never fully met, but he did manage to complete one final chamber work in 1917, his Sonata for violin and piano. Performer: Claude Helffer. Performer: Håkon Austbø. Performer: Marie‐Pierre Langlamet. Performer: Paul Cortese. Performer: Maarika Järvi.